Today on Flashpoints: Deep background on the Saudi lobby in the US which has been growing in leaps and bounds. Also, writer and photographer, David Bacon, makes the case that migration is a form of fighting back. 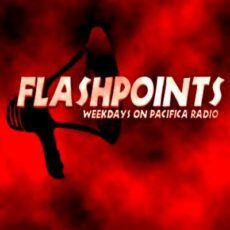 And, a brand new edition of the Flashpoints Election Crimes Bulletin!